Milk and Honey is a collection of poetry and prose about survival. About the experience of violence, abuse, love, loss, and femininity. The book is divided into four chapters, and each chapter serves a different purpose. Deals with a different pain. Heals a different heartache. A compilation of prose, Milk and Honey is impassioned and inspiring. From her first kiss and subsequent sexual abuse, The Hurting explores the objectification of the female physique and the the capacity in which our personal spaces are permeated by men. The parental relationship nurturing and an alcoholic parent devoid of maternal capacity. The Loving examines the facets of affection. Both parental and the all encompassing intensity of an intoxicating relationship. The despair of a relationship dissolving explored throughout The Breaking. Anguish, exasperation, resentment and nostalgia. The Healing is an empowering discussion of courage and fortitude. To be content within yourself and solitude. To break free of the constraints we place upon ourselves and learn to appreciate femininity and the female perspective. 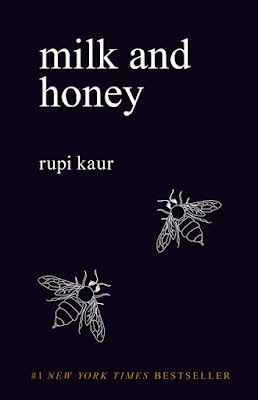 The narration is segregated by four moments throughout Rupi Kaur's journey. Passionate and confronting. From the depths of despair, a physical exploitation stripping young women of their tenacity, courage germinates. Life flourishing in the most desolate of lands. Milk and Honey is an extraordinary compilation of anguish and empowerment, the fragility and fortitude of women. Remarkable. Goodness me, this is heartbreaking. Powerful. The "first love/irrelevant love" passage in particular stikcs in my mind. It's absolutely stunning Verushka. I was surprised how much I sensed myself within the pages as well. It'll be one that I'll refer to again and again for strength. I've seen this book places- the cover is one of my favorites. It's such a brilliant read Daisy, very empowering for young women and a wonderful journey of healing. Oh, Milk and Honey. I read this probably about a year ago now, at a time when I was depressed following a family death and a break-up. I think it goes without saying that it absolutely hit a chord with me. I think I need to reread, because just reading the excerpts you included gave me a fluttery feeling in my rib cage. It's amazing how so few words can burrow their way in, especially when you need them most. I've just been feeling a little stressed and overwhelmed lately and found such strength within the pages. I'm sorry to hear that sweetheart, I'm so glad you were able to heal from those experiences. I am really in awe of the emotional capacity of this book. Rupi Kaur's instagram is beautiful and offers little snippets of her book as well as other poems. Can't wait to give this a read myself. I haven't checked out her Instagram as yet but I must follow! It's truly inspirational and I think you'll absolutely adore it. AHA lovely review Kelly! And thank you for putting trigger warnings! I personally wasn't triggered by this but I am so glad more and more bloggers are taking trigger warnings seriously and put them at the beginning! 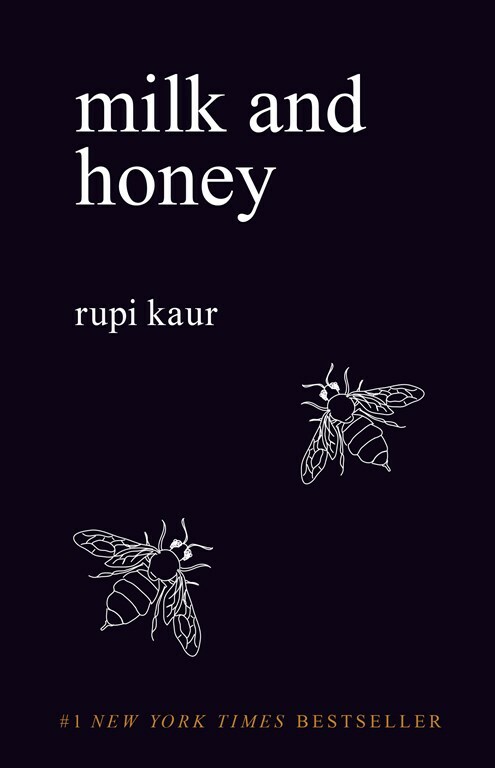 And YES MILK AND HONEY IS SO AMAZING I AM SO GLAD TO FIND ANOTHER FAN! It's something I'm mindful of mentioning in my reviews, especially when it comes to violent s d sexual crimes. I think those who've also experienced assault may also find this incredibly empowering. I have a copy of this one and I hope to read it soon. It sounds like such an amazing collection of poetry. Lauren, it's.incredible. I love poetry and verse and Milk and Honey is one of the most confronting yet empowering collection I've had the privilege of reading. I think you'll absolutely be blown away. I wish I could have been there! Such an amazing collection, one I'll read again and again. I have heard SO much about this book. I need to buy/read it soon! I've only ever read one poetry book which was Love, and you and I didn't know what to expect but I loved it a lot. I've heard so much about this one and the poems you included are beautiful and heavy <3 Can't wait to read it. It's really exquisite Casey, one of the best collections I've ever read. Very female centric and completely relatable too. Phwoar! No Limits Cover Reveal!